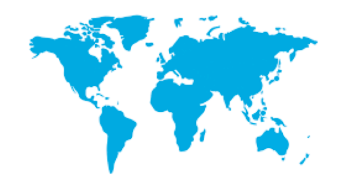 In this post, we are happy to announce our Global Affiliate Hubs for 2019! Through a grant from the Open Society Foundations, 2019 is the first year that Open Gov Hub has some dedicated resources to support like-minded, civic innovation hubs in other countries around the world. Since 2014, a few partner Open Gov Hubs have organically been established in other countries (namely, in South Asia and West Africa) by Hub founding member the Accountability Lab. Now, we are excited to formalize these and other new relationships with global hubs and take them to the next level! We got to know a number of potential partners over the last several months (from across Africa, Asia, Europe and Latin America!). In the end, we had to select only 6 to be formal Affiliate Hubs that we will work closely with in 2019 under this grant-funded program. The main purpose of this program is to help several global hubs become more sustainable, while facilitating a peer learning network for civic hubs across many countries to regularly learn from and support one another. In the first 7 years of our existence, Open Gov Hub has worked hard to help organizations in Washington, D.C. become more efficient by accessing shared essential resources, and become more effective by learning from each other and working together. We have seen firsthand how innovation hubs and shared spaces like ours can be backbones of support for civil society networks, and can be financially self-sustaining engines of resource sharing and collaboration. Now, we are ready to share what we’ve learned, and learn from others’ experiences implementing this hub model in different contexts. We selected these partners based on 5 criteria: local commitment to Hub model (including dedicated staffing), relevant challenges to what we have learned in DC, having a clear area of expertise to share with other hubs, context where open gov and/or shrinking civic space issues are relevant, and finally diversity across the different stages of a hub’s development (from nascent to mature and growing). In addition to the formal affiliate hubs in this program listed above, this year we will be able to continue and deepen our relationships with existing partners in Nepal, Mali, Belgium, and perhaps other locations as well, as we develop a suite of partnership activities like joint events and in other ways. In the end, opening up governments and empowering citizens is a universal value. We are very excited to scale our impact, support and learn from and with other hubs in different countries through this growing program!